Day 1A - 27 remain, grinding their final 30-minute level of the night. This group bags chips at the end of this levels, returning Sunday at 11am to play Day 2 down to a winner. That's your $300,000 Guaranteed $365 WSOP Circuit Event 1 update. We now return you to your regularly scheduled programming. 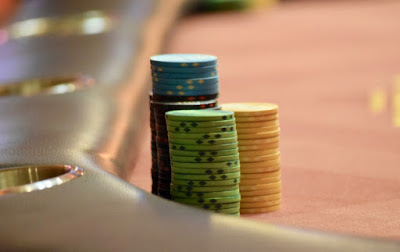 We'll be back with final Day 1A chipcounts in about 40 minutes.